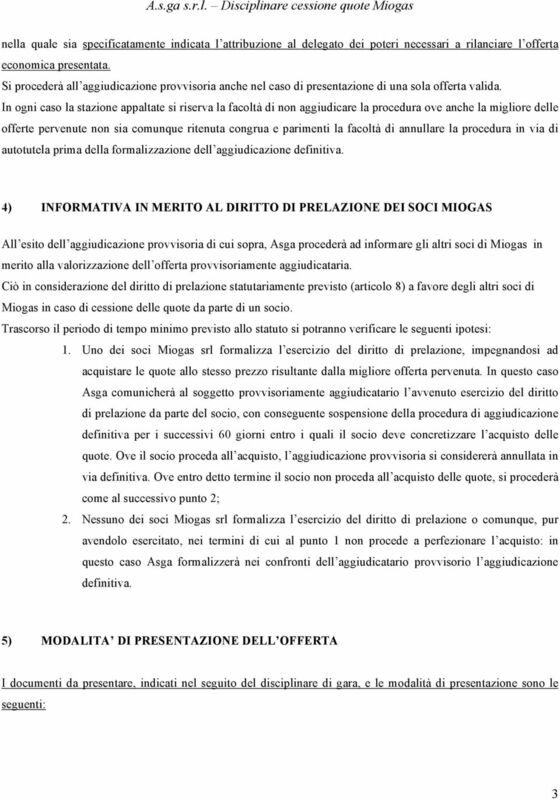 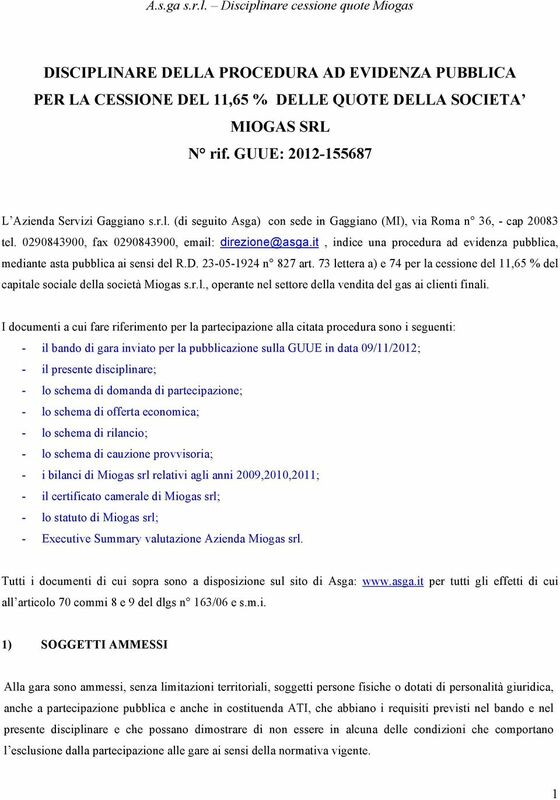 Download "DISCIPLINARE DELLA PROCEDURA AD EVIDENZA PUBBLICA PER LA CESSIONE DEL 11,65 % DELLE QUOTE DELLA SOCIETA MIOGAS SRL N rif." 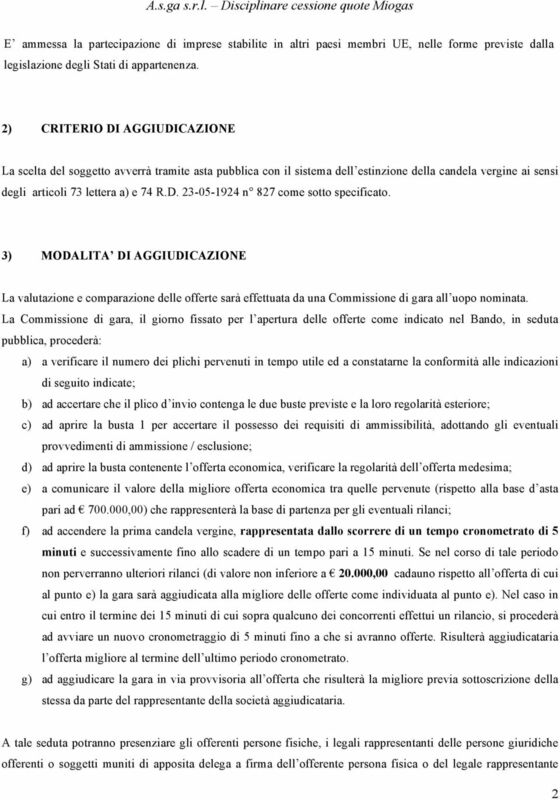 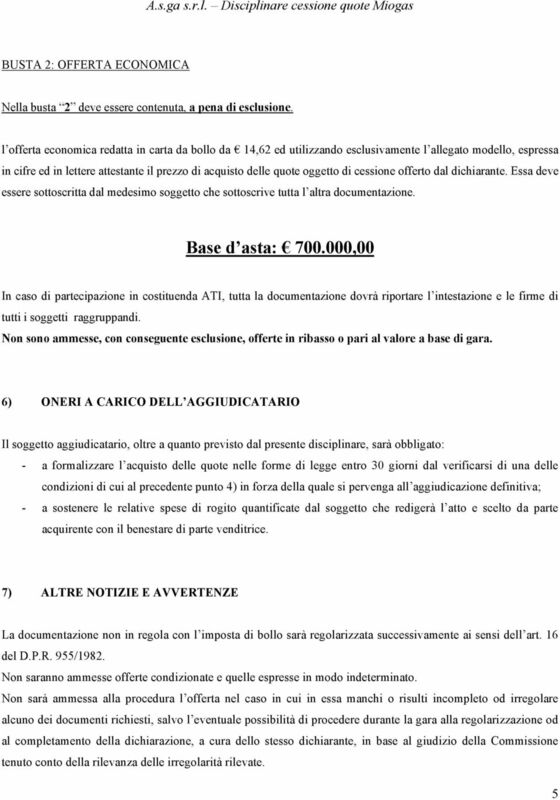 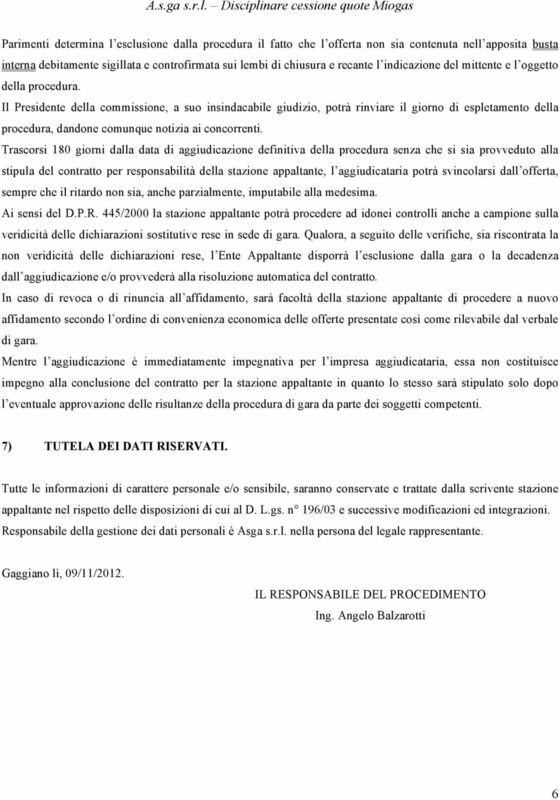 DISCIPLINARE DI GARA PER L AFFIDAMENTO DEL SERVIZIO DI CASSA DEL SEGRETARIATO GENERALE DELLA PRESIDENZA DELLA REPUBBLICA CIG N. Z4507AAB67 Art. 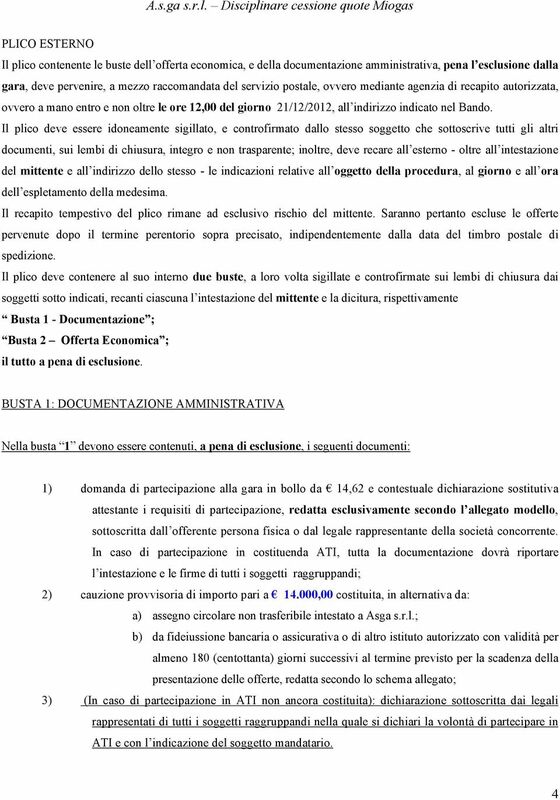 BANDO DI PUBBLICO INCANTO PER L ALIENAZIONE DI UNA VASCA SPECIALE PER CENTRI DI ASSISTENZA INTEGRATI.